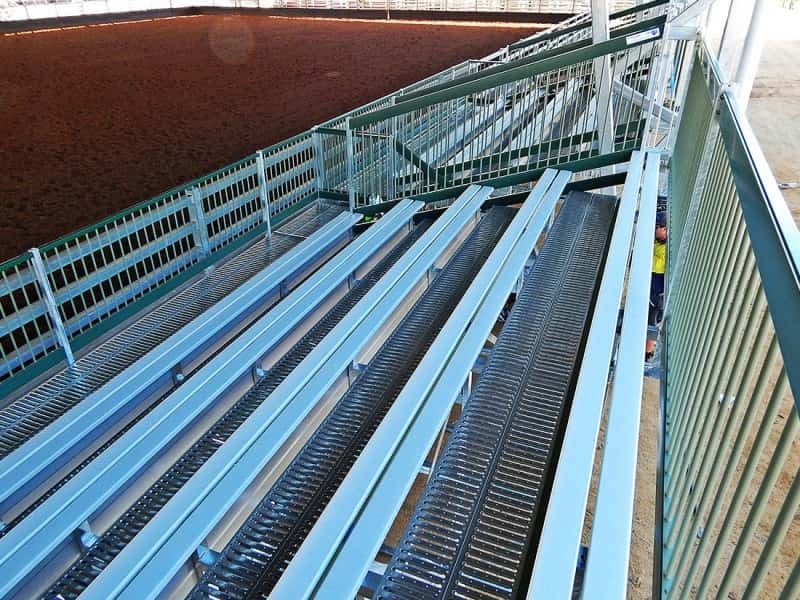 Custom grandstands are something that Steel Post and Rail have been designing, manufacturing and installing for almost 30 years. 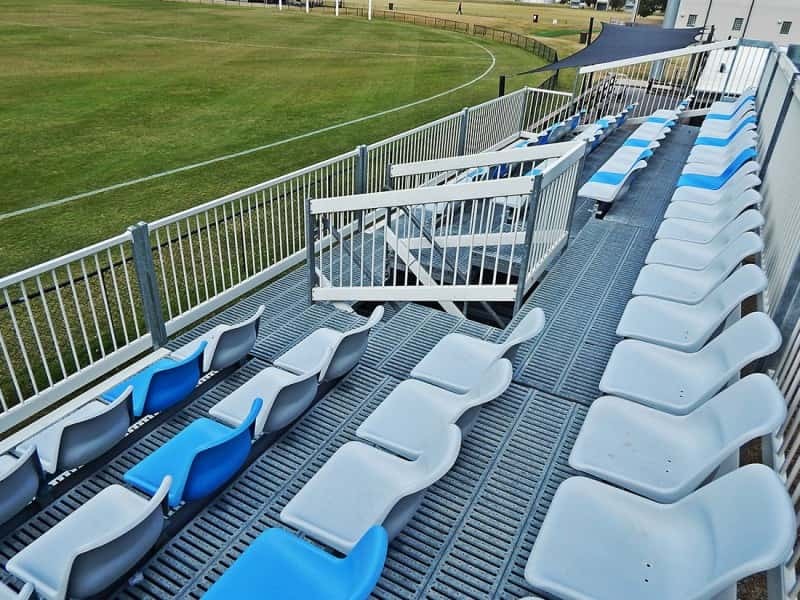 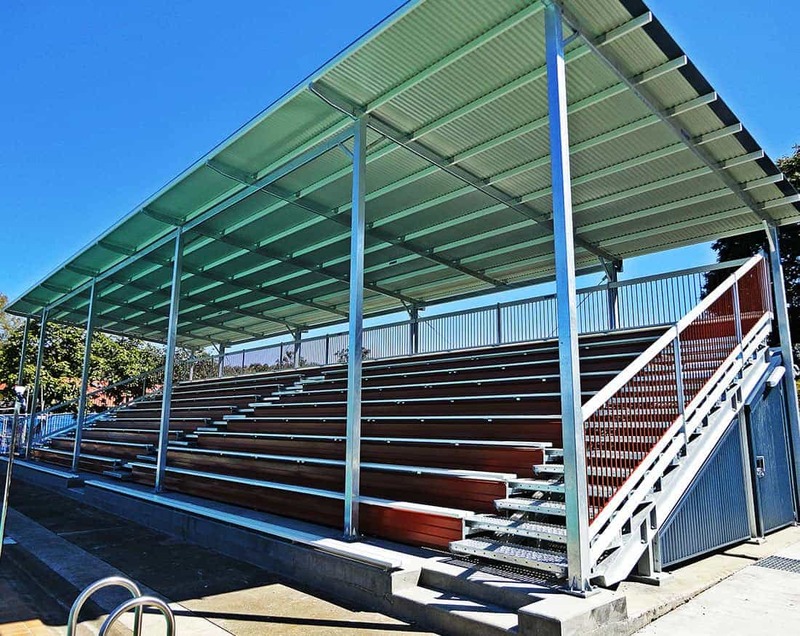 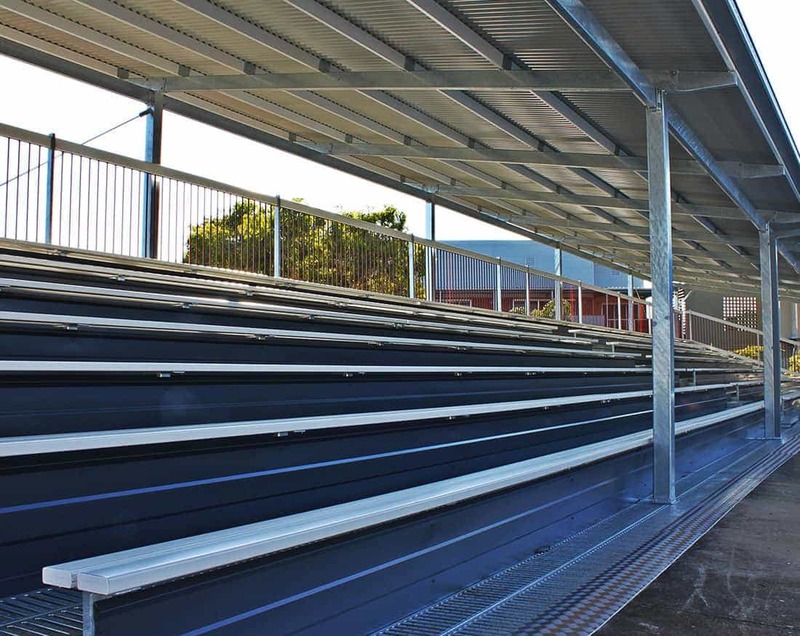 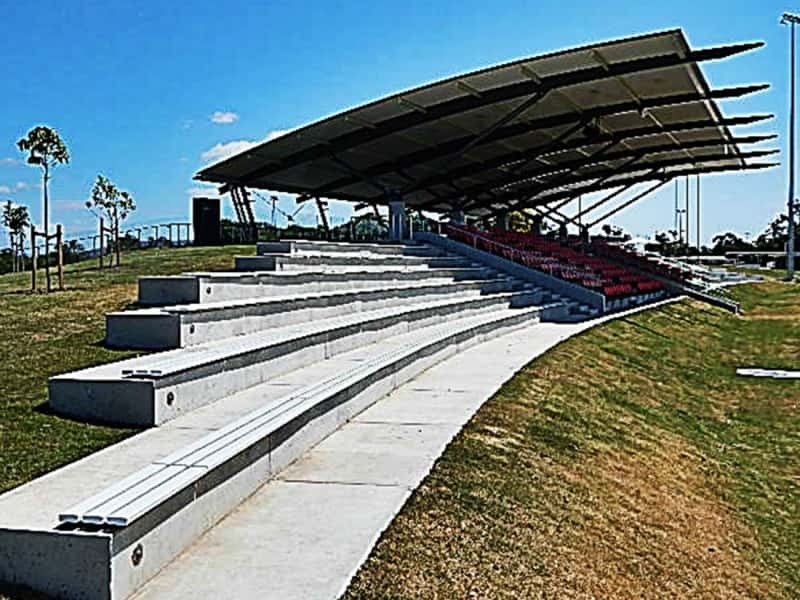 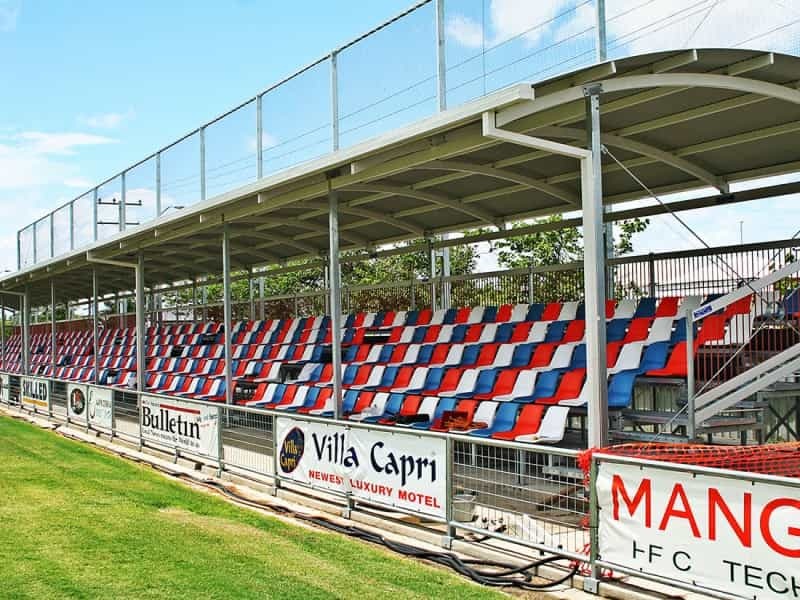 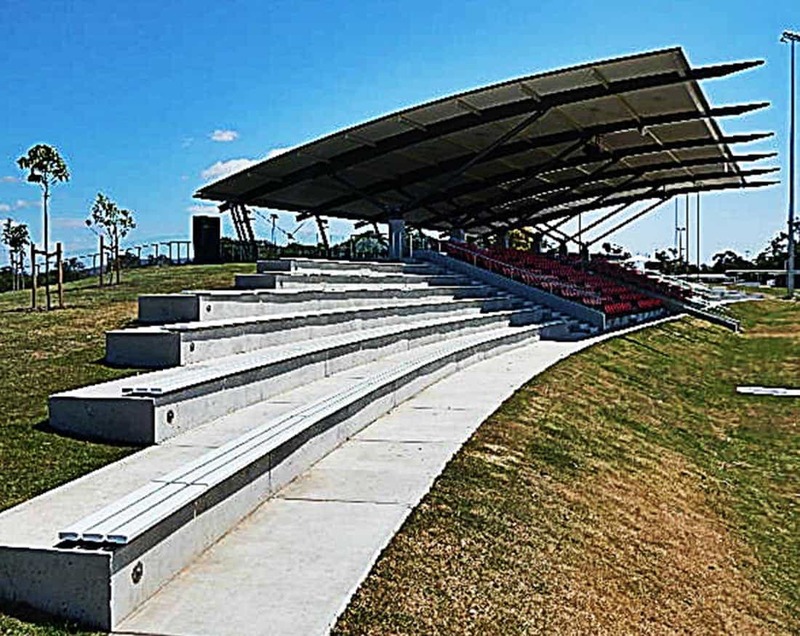 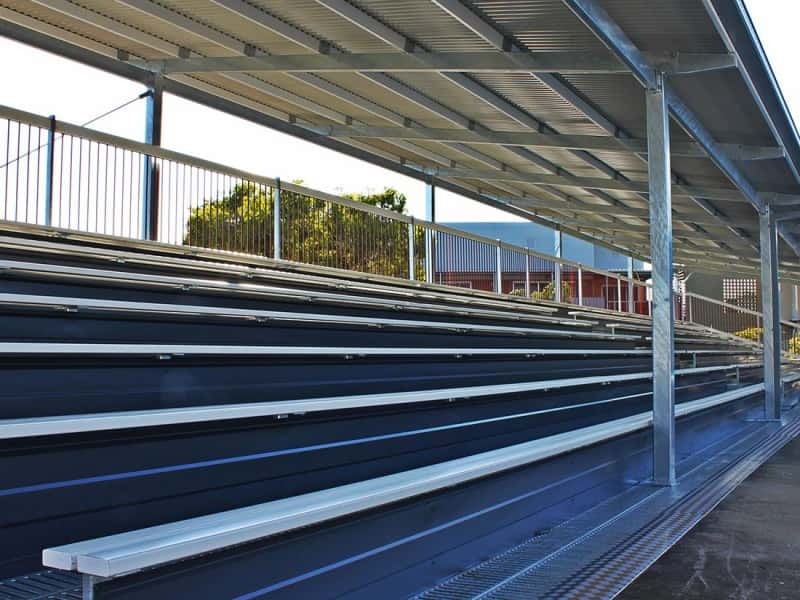 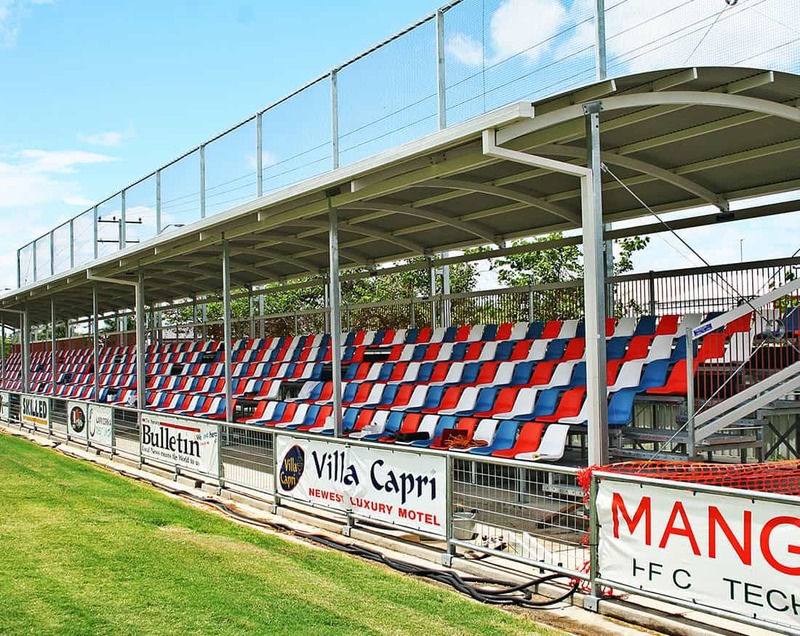 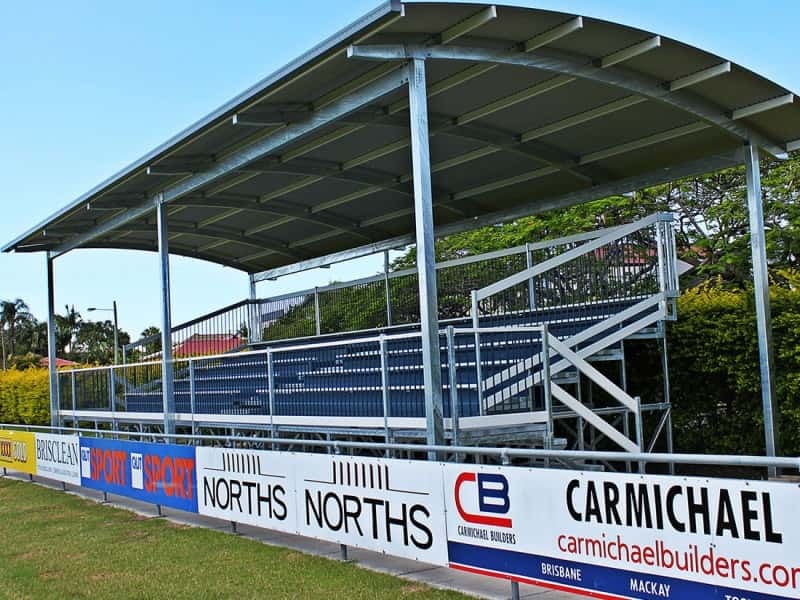 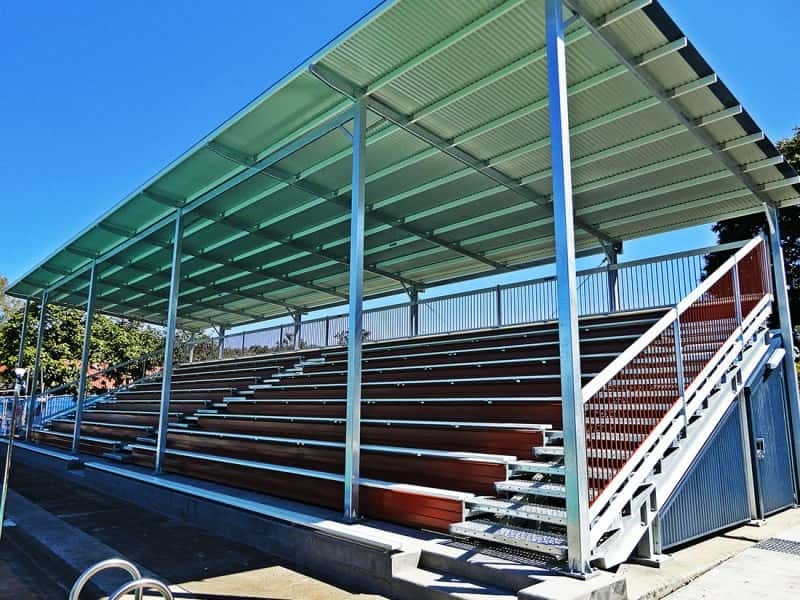 Whilst we have the capabilities to install smaller ‘off the shelf’ grandstand solutions for local sporting clubs and other public facilities, sometimes a larger more specific custom solution is required. 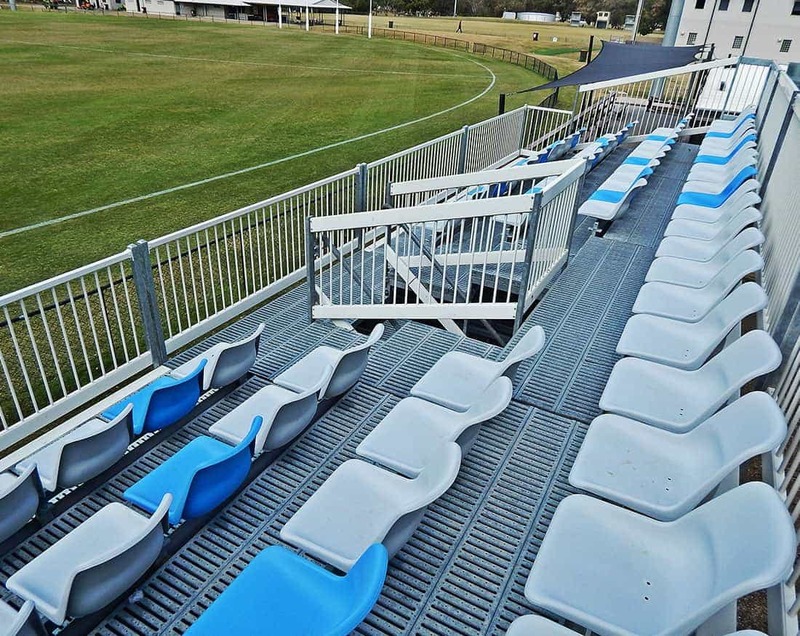 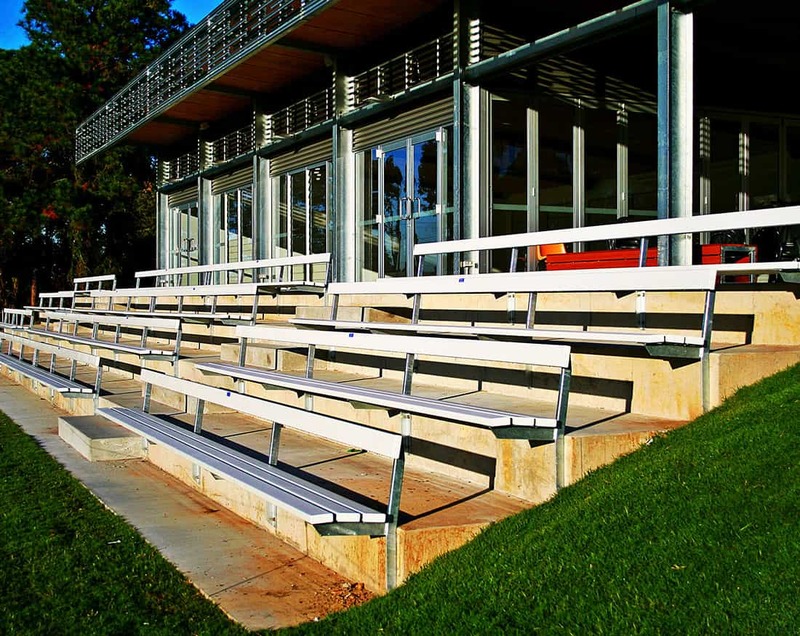 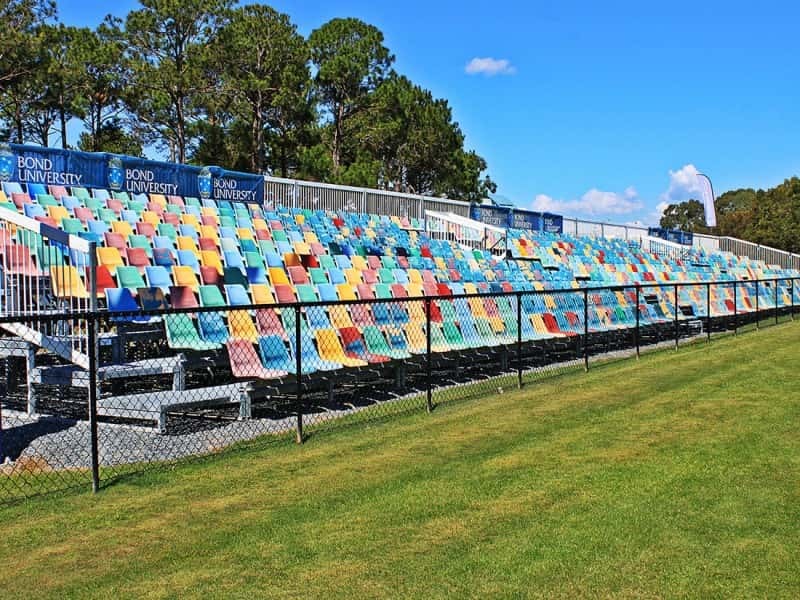 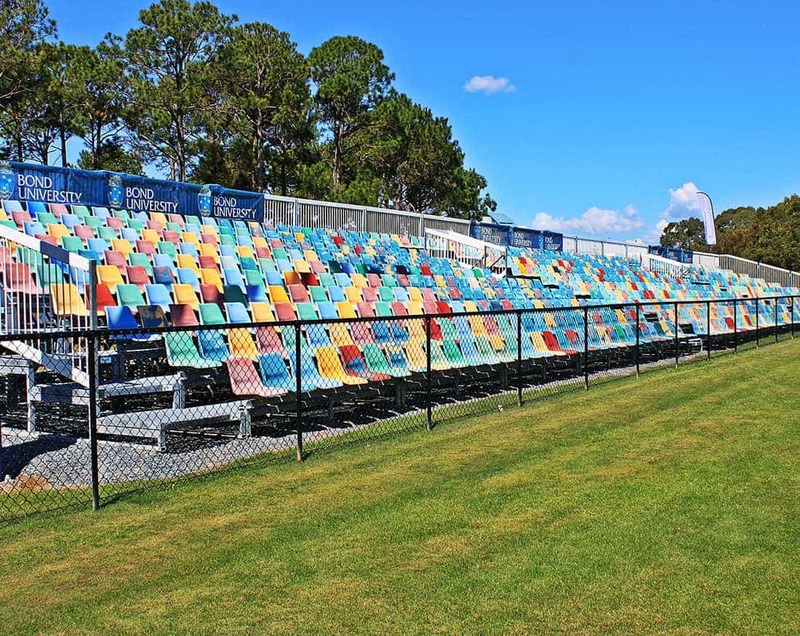 Adequate seating is vital for any sporting club or facility where patrons are involved. 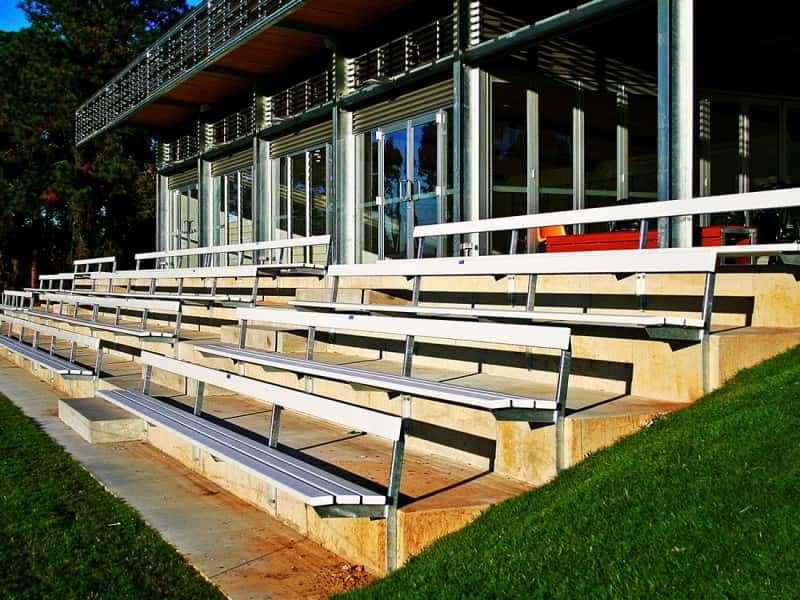 It is important that you cater for their comfort and safety so they can enjoy the event. 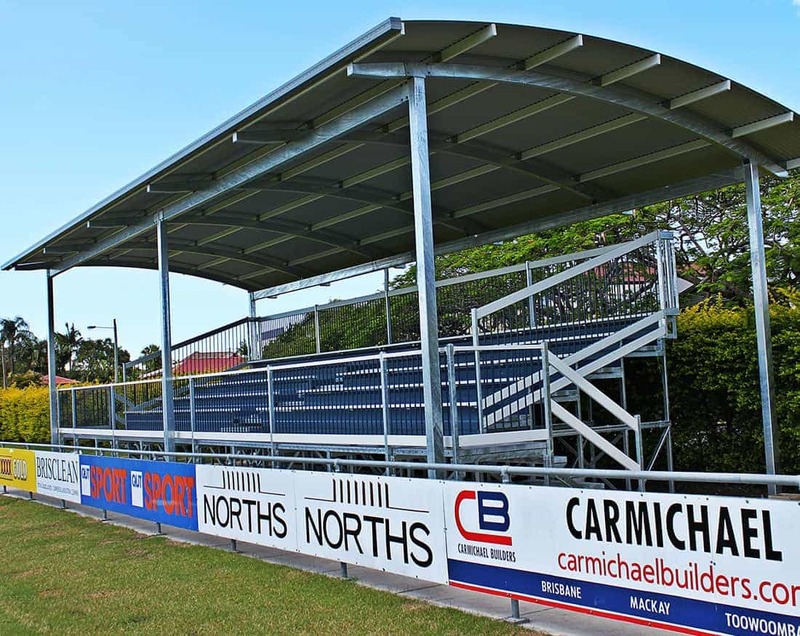 Custom grandstands are not necessarily going to break the budget, and thanks to our wealth of experience in this area, we can consult with you on your exact requirements and produce the perfect solutions to your project that will also suits your budget. 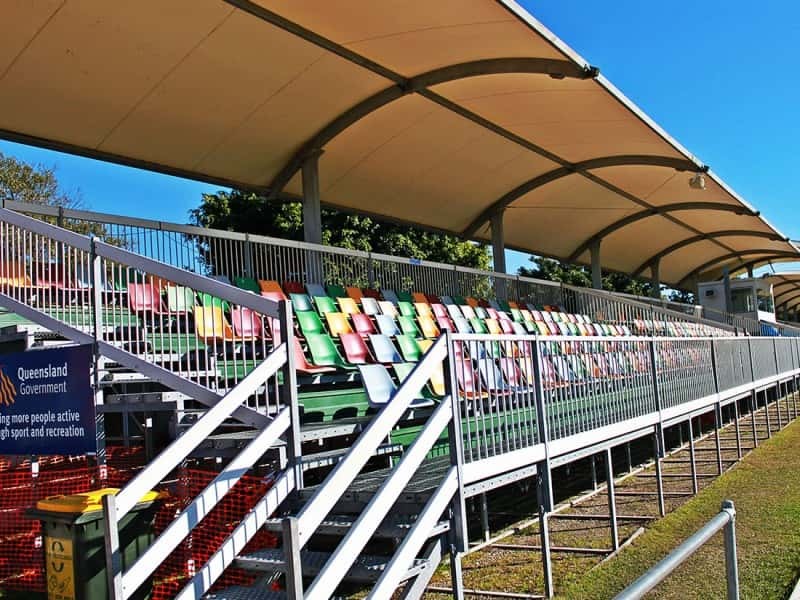 Utilising our proven hot dip galvanised framing system, you can be 100% confident that our custom grandstand solution will cater to your audience perfectly. 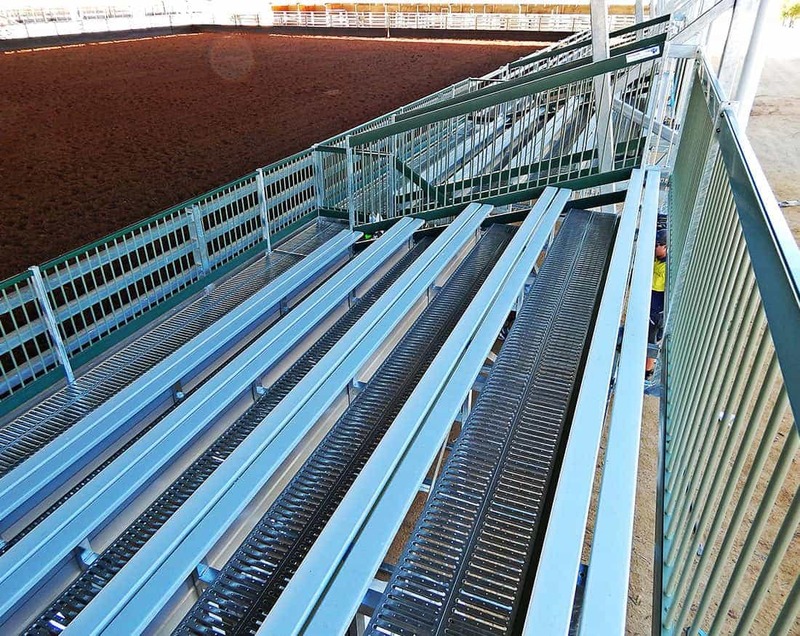 We deliver only the highest quality for all of our projects, and with no two jobs the same, our strength is our ability to adapt and innovate to suit the project requirements. 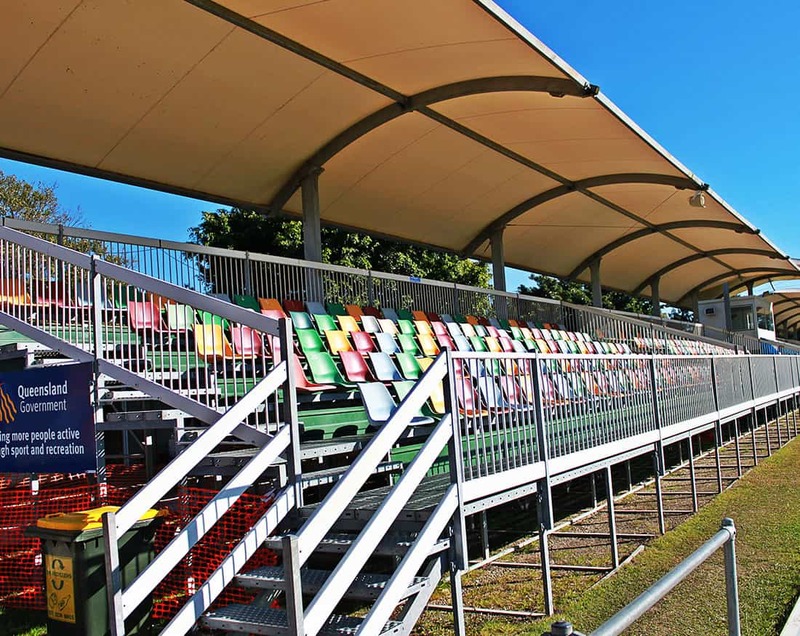 Please contact our team today to discuss your options for larger tiered seating applications.